Known for its trustworthy service since its inception in 1961, People’s Bank is deemed to be a classic example of a state bank competing head-on with private in- stitutions based on performance by delivering top-notch customer service and future focussed operational excellence whilst assisting the national unity government in pursuing its economic objectives. Recently, the bank was ranked amongst the Top 1000 World Banks for the second consecutive year by The Banker magazine of the UK. 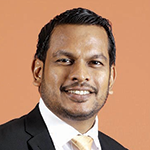 “The bank’s performance is attributable to a number of different factors,” states Senior Deputy General Manager (Business Banking) Rasitha Gunawardana. Ahamat further notes that People’s Bank’s history offers insights into its capacity and capability to push the boundaries of performance even amidst limiting circumstances. With a limiting condition in the bank’s act in relation to the issuance of debentures, People’s Bank last issued debentures in 2013. 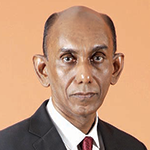 “However, with this limitation likely to be resolved soon, the bank will be in a position to freely augment its Tier II capital – and importantly, realise its real growth potential,” Ahamat remarks. People’s Bank also claims to be passionate about digitising its operations to cater to the ever-changing demands of customers. To its benefit, People’s Bank recognised early on that digitisation is the new way of life. Overall, the bank’s successes can be accredited to progressive initiatives and its team of talented staff, who comprise those groomed within the organisation and have risen to the top, as well as new blood that has poured in from the private sector armed with global experience.